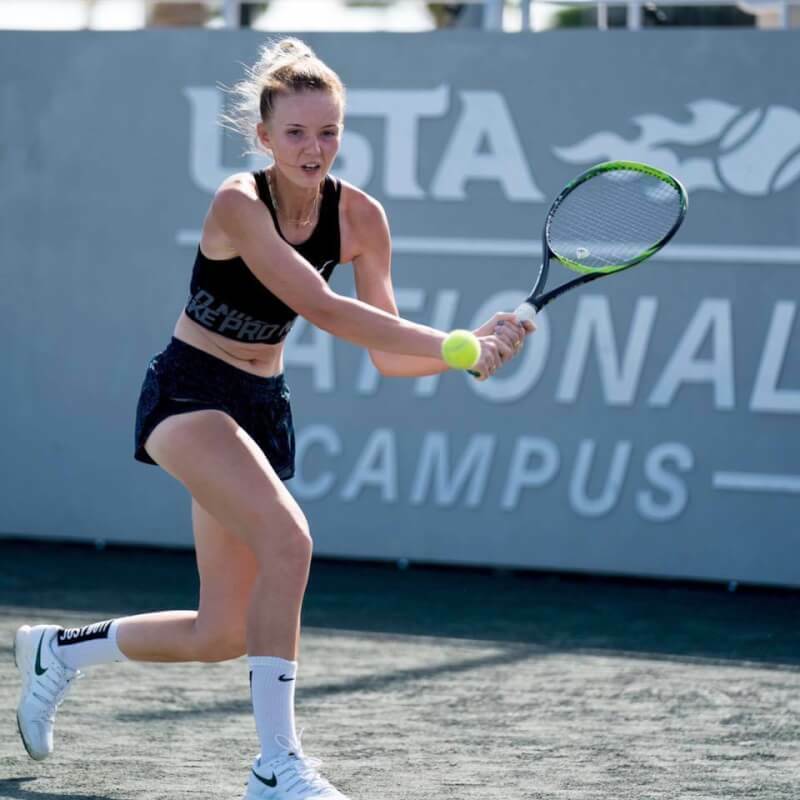 Brooklyn native Nadejda Maslova captured the title at the USTA Super National Winter Championships in Orlando, Florida to start off the New Year and bringing one of the biggest junior titles back to her home club at MatchPoint NYC. Maslova entered the tournament as the No. 8 seed, but compiled some dominant results as she made her way deeper into the tournament. She won her first six matches in straight sets before meeting top-seed Leyden Games of Southern California in the finals. The former New York City High School singles champion found herself in a bit of unfamiliar territory as she dropped the first set of the championship match. But she rallied to win 4-6, 6-4, 6-3 and win the title. Maslova, who trains with Nino Muhatasov, Alona Sotnikova, Valery Kluchnikov, Farrah Unger and Aleksandr Osipenko at MatchPoint NYC, credits a lot of her success to the well-rounded training team behind her. “I learned to control the ball very well, and my coaches are the reason why it happened,” said Maslova. “My coaches worked with me for hours and took time to explain the importance of consistency. I move better on the court, and I read my opponents game. Click Here to read more about Maslova’s victory.